For any high-resolution photo requests, please email gro.n1555907094otsob1555907094crcj@1555907094ofni1555907094. Thank you. 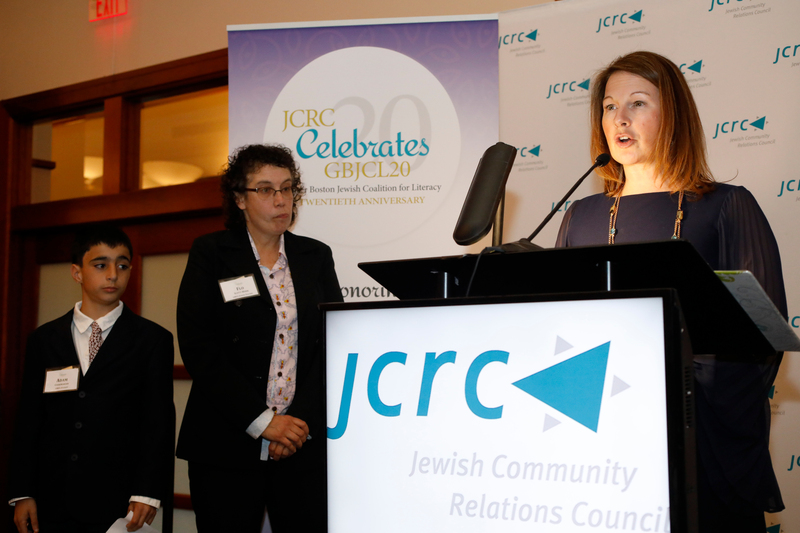 All year long, we’ve been celebrating the 20th anniversary of JCRC’s Greater Boston Jewish Coalition for Literacy. We’ve hosted birthday parties at nine public schools, and last spring, held our own grand celebration honoring tutor Mark Friedman (pictured with his tutee, Adam), an extraordinary leader in both GBJCL and JCRC. Last night, we wrapped up the festivities by honoring those at the heart of the program, our volunteers. 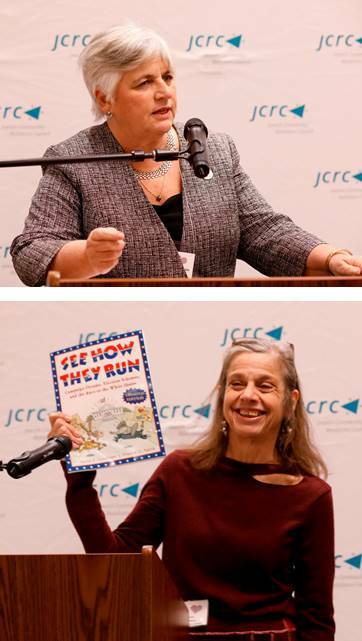 Joined by MA Rep. Denise Garlick (Needham, top right photo) and noted author Susan E. Goodman (bottom left photo), we were thrilled to welcome 85 of our literacy volunteers and school partners. Since the inception of the program, GBJCL volunteers have distinguished themselves as real literacy heroes. Every week of the school year – and in some cases, for the full 20 years of the program’s existence – these volunteers show up with teams from their synagogues or workplaces at public schools throughout Greater Boston, to help kids develop tools for success. Among those we honored was Cindy Lutch, a team leader from Temple Israel, Natick, serving at the Hemenway School in Framingham (left photo, on right, with Pam Weil, a GBJCL team leader from Temple Emanuel, Newton). During her decade of service, Cindy has had the opportunity to work with dozens of students and partnered with multiple teachers to develop a nurturing learning environment. 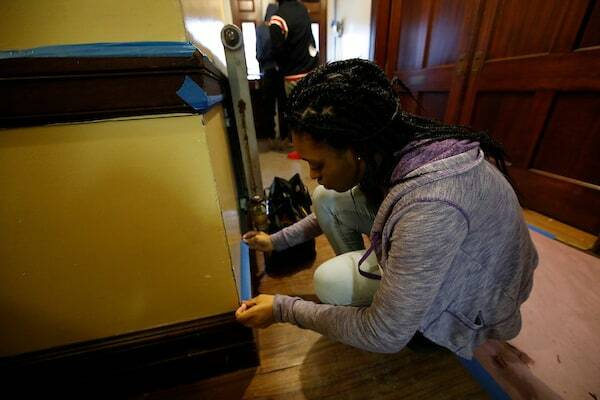 Among those she tutored, one young man in particular stood out. After spending many weeks together, she noticed he was having trouble reading his school work. She brought this to the attention of his teacher, and together, they discovered that the student needed glasses. After he got glasses, he sometimes needed help remembering to bring them to school. Cindy would remind him each week, supporting the student to become a better reader over the year. 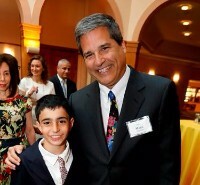 Cindy’s special relationship with this student and his teacher helped him to grow and thrive. After years of tutoring, Cindy developed a model for providing closure to her students at the end of the year. Cindy takes a photo of the child and they each take a copy home. GBJCL values closure rituals between student and tutor so they can reflect on their accomplishments and express their feelings about the transition. Cindy’s innovation has now been integrated as a best practice that GBJCL recommends to all tutors. Cindy’s enduring her commitment led her to choose her successor carefully and since then, the Temple Israel team has expanded and become even more robust. We thank Cindy for her leadership and her continued partnership with JCRC as the program grows. 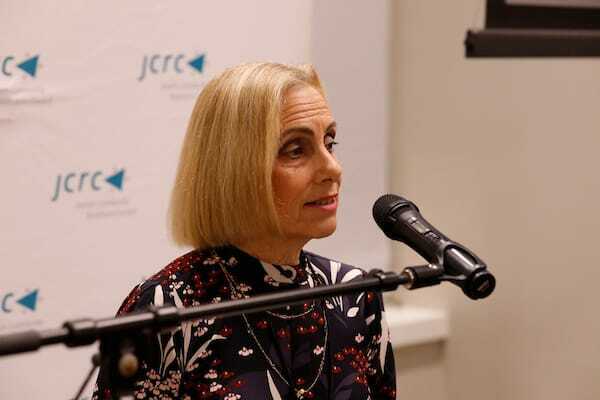 Her commitment to making literacy accessible to students is an inspiration to all of us and exemplifies the connection between Jewish communities and public schools that the founders of GBJCL, including Leonard Fein, envisioned. Tikvah – creating hope, including for youth and their future. Areyvut – our sense of mutual responsibility, including to all our neighbors’ children. These values have inspired us to connect volunteer tutors to kids, and they inspire all the work that we at JCRC are proud to do every day. We believe in the promise of America, in the hope and potential of our nation, despite our challenges, and in the idea that our nation is at its best when we are creating opportunity and equality for all who live here. We believe in the national hopes and aspirations of the Jewish people, in our collective future and the contributions we have made and will make to the world. And those aspirations include a vibrant future for the state of the Jewish people, Israel. And we believe that, despite whatever differences we have within our own community, we have to work together; because we cannot achieve our hopes alone. And, we have to work in the public square of civil society to build support for our priorities and our shared values. This is why JCRC, as a broad network including 42 organizations, partnering with synagogues, rabbis and community leaders, each leading in their own way reflecting their unique skills and passions – comes together as one community, working for the brightest possible future, including for our own children and the children of our neighbors. Because every child has the potential to contribute to the strength of our nation. That is why earlier this year we brought together seventeen of the most influential Jewish organizations in Boston to say that we must keep our doors open to immigrants and refugees, and that we will protect and support our neighbors regardless of their immigration status. Because every child, every girl - and boys too - should know that if they study hard and work an honest day they’ll be treated fairly. That is why we worked to pass the Equal Pay Law last summer. Because every child should be able to go to their synagogue, their mosque or to a JCC without fear. That is why we advocate that our government provide the resources necessary to ensure the safety and security of non-profit institutions. Because every child should be able to follow their passions – sports, arts, whatever - and be able to go to public venues knowing that they will be welcome. That is why we fought to pass the Transgender Public Accommodation Law and we will defend it if challenged on the ballot next year. And because the children of Israel should have a future of peace in a Jewish and democratic state. They should be able to live in co-existence with their neighbors, and with the security that all people deserve. That is why we engage civic and religious leaders in support of Israel. Over the past five years we’ve taken over fifty Christian clergy and civic leaders and fully one-third of the Massachusetts legislature to Israel to deepen their appreciation of the Israel we love and the people we believe in. That is why we work to prevent the demonization of Israel in Boston and around the world. And it is why we build support for Israelis and Palestinians who are coming together on the ground to create the conditions for a future of two-states living side by side in peace. 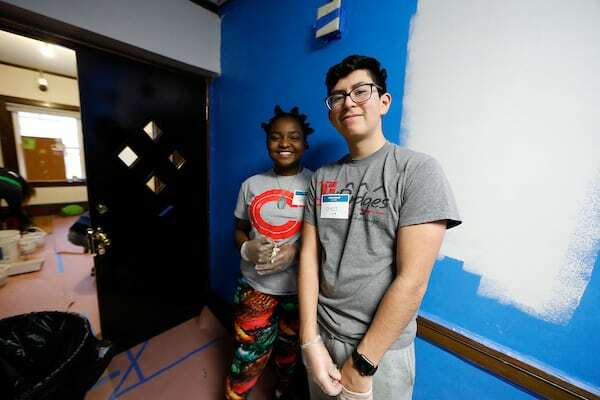 We do all this rooted in the same values that inspire us to reach out to young adults, to synagogues, to student groups and others, inviting them to do service – in soup kitchens and youth programs, with seniors and with kids needing tutoring. Because every child deserves a quality education and the chance to acquire the skills needed for success. And we believe it is our responsibility to help those children realize their dreams. 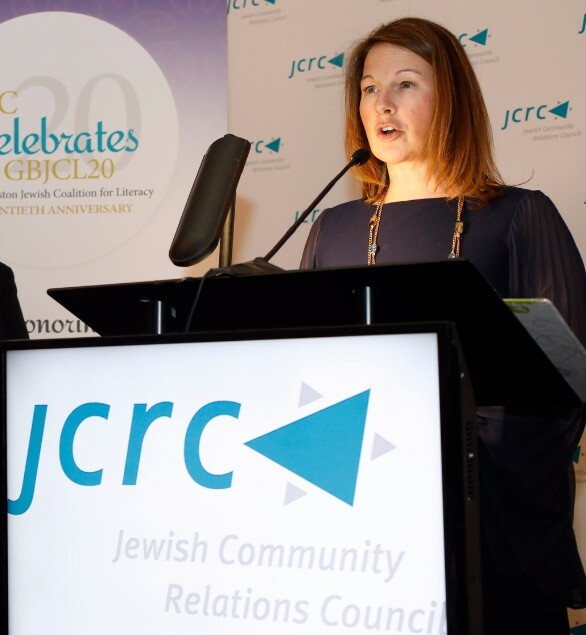 That is why, twenty years ago, with the leadership of so many of you, JCRC established the Greater Boston Jewish Coalition for Literacy, and it is why we are so proud to celebrate this and all of our work. Thank you to all of you for your partnership. You make this work possible. And thank you for allowing JCRC to be an effective vehicle to offer an inspiring vision of our Jewish community’s values in the public square every single day. p.s. I’ll be off next week. On behalf of everyone at JCRC I wish you a wonderful Memorial Day Weekend and Chag Shavuot Sameach. p.s.s. 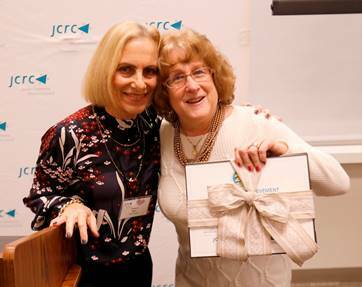 See photos and more photos from JCRC Celebrates on Facebook! This coming Wednesday, JCRC will celebrate the 20th anniversary of our Greater Boston Jewish Coalition for Literacy (GBJCL). As we honor some very special leaders who helped us reach this momentous occasion, we also reflect on the thousands of community members who’ve made such a difference in children’s lives through this initiative. The GBJCL team leaders are largely unsung heroes within our volunteer pool. These hardworking and dedicated volunteers are at the nexus of relationships between each synagogue and its partner school. They go above and beyond to cultivate the partnerships, laying the groundwork for fulfilling volunteer experiences for all of our tutors. For seventeen years, Joan Beer of Temple Emanuel in Newton has been a volunteer and GBJCL team leader. In that capacity, Joan has worked closely with school liaison Joan Dill at the Beethoven-Ohrenberger School in Boston, to match over 30 tutors with young students. In addition to ensuring that each tutor is supported in providing ongoing individual attention to their students, “the Joans” launched the school’s first book club, spurring spirited conversations about each special book selection, and inspiring the love of reading. Joan will be stepping down as team leader at the end of this year. Her dedication and commitment to the school, the students, and GBJCL has inspired a new generation of team leaders who not only feel compelled to give back to their community through service but have the energy and passion to inspire their peers to do the same. One of these up and coming team leaders is Liza Hadley, who began tutoring while an intern at the law firm of Nutter McClennen & Fish. 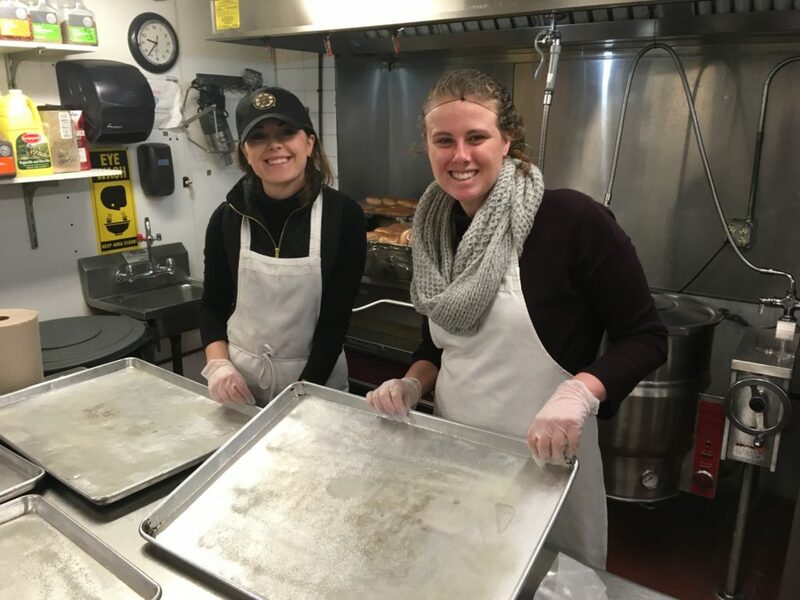 Their team uses their lunch hour to volunteer one on one with students at the Condon School in South Boston. Liza was so impacted by the experience that she decided to work with us to bring the program to her community at Boston University Law School. Liza has strong ties to Boston through her grandparents who immigrated here after surviving the Holocaust. Liza reflects that “a lot of things hit home” for her as she considered her involvement in the program. Her grandparents instilled in her a love of reading as well as a deep appreciation for education, since they themselves were denied that opportunity. Through GBJCL, Liza is able to ensure that their legacy lives on. The next chapter of Liza’s involvement in GBJCL has just begun. Liza has engaged the Jewish Law Students Association, the Women's Law Association, and the Public Interest Project at Boston University to begin mobilizing volunteers. GBJCL has paired them up with the Curley School in Jamaica Plain and with second grade teacher Emily Beck. Liza and Emily will be working closely together over the next several months and aim to have a team of volunteers with Liza leading the way for next year. GBJCL embodies a Jewish tradition of taking responsibility mi dor l’dor, from one generation to the next – volunteers passing on reading skills to students, and volunteers passing on leadership to volunteers - like links in a chain, becoming stronger as we move forward. The expertise and commitment of those who have gone before have laid a strong foundation, one which will continue to flourish in the years ahead. As we begin the next 20 years for GBJCL, we are grateful to the new generation of team leaders who are stepping up not only to ensure the continued vitality of our program, but also to collaborate with us to expand our model and extend this unique opportunity to more volunteers. To reach community members interested in volunteering who may not be able to commit to a full year of service, we are now partnering with universities, corporations and other non-profits to design new models of tutoring. 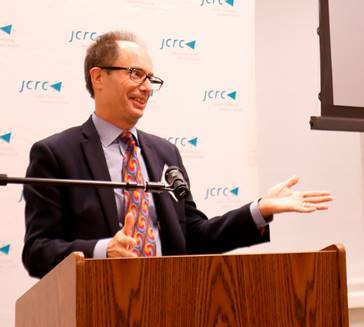 I hope you will join us on Wednesday, May 24th at JCRC Celebrates to learn more about our incredible volunteers and to honor one special volunteer, Mark Friedman, whose dedication and commitment knows no bounds. With your support, we can engage more leaders like Joan, Liza, and Mark to make an impact on our community. On the eve of Passover, when we share our national story and reenact our journey, I share with you the story of one of our literacy volunteers and the deep connections she has fostered with her students through their shared life journeys. In May of 1960, Marion Bank was 13 and living in Chile when she experienced the largest recorded seismic event to date. What became known as the Great Chilean Earthquake had devastating effects all over Chile, and continued to have ripple effects from Japan and the Philippines to Alaska. This experience left a lasting impact on Marion - one she would share over 55 years later with a group of fourth graders at the Stapleton Elementary School in Framingham, where – as part of a team from Temple Beth Sholom, Framingham - she tutors with the Greater Boston Jewish Coalition for Literacy (GBJCL). Marion currently works in the fourth grade science class on Wednesday mornings. On this particular day, the students were learning about earthquakes and Marion was able to make the concept come alive with her story of trauma and survival from her childhood. The room lit up. The students asked questions: “What did you do?” “Were you scared?” “Did you have nightmares after that?” The lesson became much more than a routine science class and the students were able to understand the very real impact of earthquakes in a new way. Marion, like many of our GBJCL students, immigrated to America when she was young. Her parents fled Nazi Germany in 1939. They got on a ship -not knowing where it was headed - and ended up in Chile. Almost a quarter century later, having survived the Nazi era, Marion’s family decided to move to America. Marion’s connection to the immigrant experiences of others is a deeply personal one. As a tutor at Stapleton, she is able to connect with students who are new to this county and who are adjusting to a new life in a new place. One young boy joined the Stapleton class shortly after he and his family emigrated from Brazil. He was very shy about using English and did not feel confident writing when asked. Marion worked closely with him, engaging him in conversation about what he wanted to learn. She would then write down his answers and share it with the teacher. That experience gave this student more assurance and, by the end of the year, he was a full participant in the class. Marion’s own experience of being a stranger in a new land allowed her to lend the support needed to build her young friend’s confidence as a capable student and an English speaker. After learning Marion’s story about her family’s journey to Chile and then America, Lianne Manzella, the 4th grade science teacher, decided to design her immigration unit around Marion’s experience later this spring. Once again, the students will have the opportunity to learn from Marion’s first-hand experience. They’ll have the opportunity to understand her unique perspective as an immigrant and just maybe, to share their own immigration stories. As we continue our GBJCL20 celebration, we are sharing stories that celebrate the impact the program has had on students and volunteer tutors. Our tutors are as diverse as the students we work with, coming from different backgrounds and bringing a variety of experiences with them to the program. 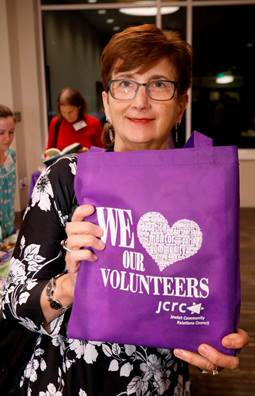 Join us in celebrating the 20th anniversary of our literacy volunteer program as JCRC Celebrates on May 24th. 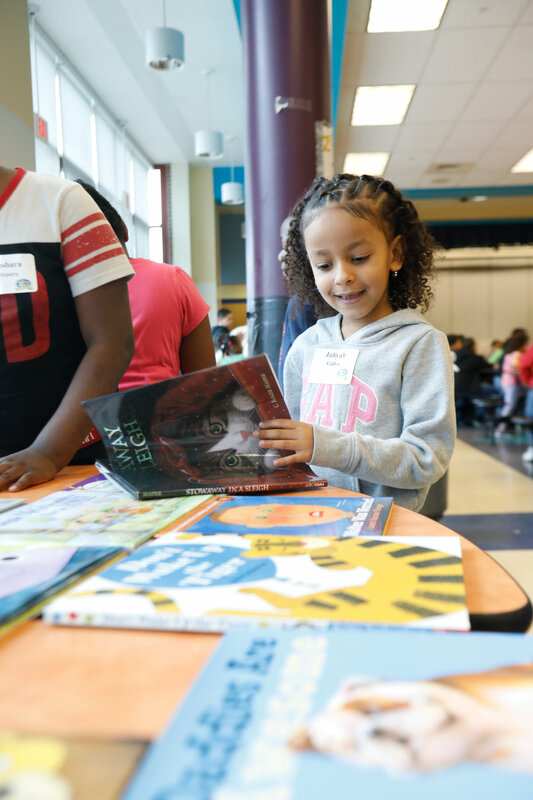 Kids may be counting down the days until school’s out for summer, but at JCRC, we’re still reveling in the successes of our students, volunteers, and partner schools that participated in our Greater Boston Jewish Coalition for Literacy (GBJCL) this year. We’re retelling the story of the first graders who excitedly shared pizza with their seventh grade Solomon Schechter Day School reading buddies and sent them off with joyful high-fives; we’re recounting the legal professionals who hosted their young friends in their the law library to show them how reading can translate into a career and can start to imagine futures full of exciting possibilities; and, we’re dreaming up ways to make the program even more robust and special next year as we mobilize the Jewish community to help elementary school children discover the joy of reading for the 20th year! We’ve already come a long way – when GBJCL was launched, our tutoring teams were drawn primarily from synagogues, with day schools joining shortly thereafter. But after witnessing the profound impact of our volunteers on young emerging readers, we committed to expanding the program. As we often do, we turned to one of JCRC’s volunteer leaders, then-JCRC Board member Phil Rosenblatt. We asked Phil to make a shidduch (match) between GBJCL and his law firm Nutter, McClellan and Fish. Phil eagerly accepted our request and a partnership was born, creating opportunities for people in all departments of the firm to volunteer on a regular basis. Alicia Lenci (photo below), an accounting specialist at Nutter, eagerly joined GBJCL as a volunteer five years ago. She is constantly crafting her own materials for her students, taking a special interest in learning about their unique backgrounds and learning needs. Though most volunteers serve bi-weekly (in alternating pairs so that each student has a consistent weekly session) Alicia volunteers weekly, going above and beyond her commitment to her students. Through GBJCL and JCRC’s other service programs, we inspire our community to act on our core values, bridge differences, and build meaningful connections across communities. Animating our programs is an extraordinary cadre of volunteers who share a commitment and passion for building a stronger and more equitable community, one that affords access and opportunity for all. They delight in getting to know young children and helping them realize their potential as they discover the joy of reading. And the benefits clearly go both ways, as the children find a special place in the heart of our volunteers. If you have any doubt, just check out the expression on the faces of hard working professionals at Nutter, as they get a chance to step away from their desks and enter the lives of eager young learners! 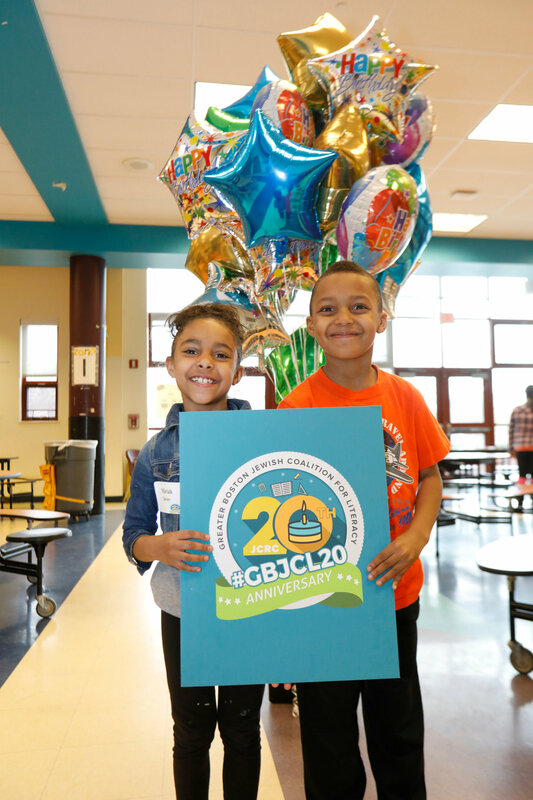 So, as GBJCL concludes its 19th year, we’re as excited as the kids are for summer because that’s when we’ll be planning for our 20th anniversary year, when we further expand our pool of volunteers, and provide reading support to many more students in the many schools requesting our services. Maybe you, your business, your school or your synagogue are our next partners? I promise that if you are, you’ll have sweet memories of your impact on children’s lives too.